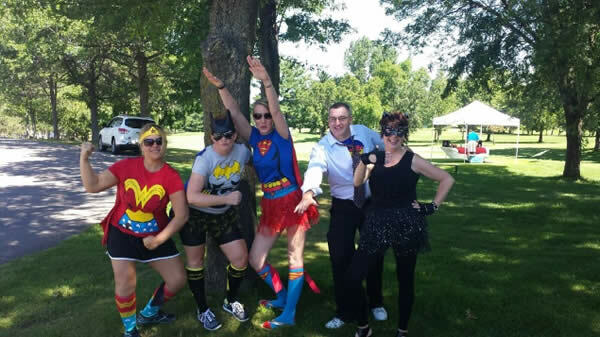 A group of Associated Bank colleagues from the Central Wisconsin Community Market recently participated in the 2015 Aspirus Women’s Golf Classic. More than 250 golfers, “celebrity” caddies and volunteers participated in the event at the Wausau Country Club. The event raised a total of $86,400 to help support community-based health initiatives and Reach Out and Read, which is a nonprofit organization that promotes early literacy and readiness by providing books to children during their child wellness visits. Reach Out and Read was founded in 1989, with its first program at Boston City Hospital. Today, the program serves more than one-third of all children living in poverty in the United States. The organization continues to grow each year with the vision that one day the Reach Out and Read model will be a part of every young child’s checkup.